…and what a gorgeous cover it is! I love every bit of this design, and I hope that the wonderful juxtaposition of cheerful colors, charming subject, and ominous situation delights potential readers as much as it delights me. So excited by this cover that you’d like to pre-order Sharks? Let me make it easy for you, dear Fan! Just click on the beautiful image above to be taken to the book’s Amazon purchase page. I am happy and excited to report that work on my story collection, The Thing About Great White Sharks, is proceeding right on schedule! I am currently reviewing the manuscript copyedits (and, frankly, feeling a bit awed–it’s amazing how much a few commas, word replacements, and the like can improve the flow of a story). At this rate, the book will be released in Febuary of 2015, which was the initial goal. Can’t wait to share more information as it comes (like the cover). Stay tuned! Guest starring in today’s update is author Kodi Scheer, who has graciously consented to answer the same writing questions I responded to in my last post. I’m still working to promote my story collection, INCENDIARY GIRLS, which means I’ve been spending a fair amount of time on events, interviews, and essays. I’m also drafting a novel that follows several young American girls as they visit Paris for the first time—with tragic consequences—as one of the girls suffers from mental illness. I’d love to say more but I’m a little superstitious about it. My short fiction isn’t easy to categorize. My friend calls the work in my first book “anatomical horror stories.” I suppose I’m working within the tradition of magical realism, as the stories are all set in our world, usually with one fantastical element—a heart transplant patient starts to take on the characteristics of her donor, a small town is infected by a highly contagious love virus, or a medical student is haunted by the ghost of her anatomy cadaver. The stories focus on science, medicine, and illness, which makes them a bit different than most fiction you’d label magical realism. I like to explore how the physical and psychological intersect. I’m definitely influenced by my science background. I’m not a healthcare provider but I’d planned on a career in medicine. I studied the natural sciences as an undergrad and sought out clinical experiences by volunteering in various units of the hospital and at a women’s clinic, plus I worked with human subjects in a neurology lab. But I found myself more interested in people’s stories than their pathologies. That said, I think there’s a lot of overlap between practicing medicine and writing fiction. In the end, they’re both about empathy — putting yourself in another’s shoes, experiencing the world from another person’s point of view. To a certain extent, I think both medicine and fiction can help relieve suffering. Medicine does this in a more acute and obvious way, but reading fiction can help alleviate suffering just by knowing another individual (“real” or not) has felt the same psychic pain — you’re not alone. Despite the fact that this site is only a “blog” in the very loosest sense, I am participating today in a writers’ blog hop. I was inspired to do so by a request from my dear friend Tim Susman, whose far more articulate answers to these questions can be found on his website. Several projects, though at the moment I am focusing on the final edits and promotional material surrounding my upcoming story collection, The Thing About Great White Sharks. This collection is slated to be released early in 2015, so there’s at least a deadline on that distraction. During lulls in the revision I am dabbling with a couple of newer, orphaned short stories (they didn’t quite make the collection deadline) and preparing to plunge (back) into my next large project: a YA novel told from the point of view of a teen dad whose son isn’t quite…human. I have an outline and five chapters of this novel written, but work on the collection has diverted my attention for a while. I plan to attack the YA story with more gusto in a few months’ time. That would depend on how you categorize my work. I consider my stories to be “speculative fiction,” which is the closest I can come to conveying in few words that I consider my work to be intimate, character-based, and rooted in the natural world (elements of narrative which often characterize so-called “literary fiction”) as well as defined by some fantastical element–ghosts, time travel, advanced robotic pets, aliens, far future living, etc. My work may stand out from the fiction of other writers blending or bending genres in that it is simultaneously humorous and humane–or it may not. A number of genre-fuzzy writers combine those elements nicely. My work has a dark streak, too, however. And a lot of animals. Just as placing current events in a science fictional context can help a writer get away with bald social commentary, I sometimes feel that wrapping deep emotions around animals–pets, mostly, but also wild creatures–allows me to speak more freely about troubling human needs and desires. Some of my answer is explained above, in why I so often find myself writing about human relationships to animals. As to why I write fantastic, character-based fiction, well, it’s just so much more interesting to me personally to say “sure this marriage is going south, but what if that’s because the wife is a bird who really, physically, HAS to fly south? For the winter?” than to write about a crummy marriage mimetically. All stories are made up to some degree, and all “reality” is suspect. I find that I am best able to access emotional truth as a reader and writer through speculative fiction. Until recently, I had a fairly structured writing routine: most days, I was at the computer by 8:30 or 9:00 every morning, writing for a few hours before heading off to my secondary job. I would spend a half hour or so each day reading over previous writing, make a few small (small!) edits, and then pen anywhere from 250 to 1500 new words. Now that I am caring full-time for my young baby, however, routines are out the window–at least for a while. These days I write whenever I can–while my daughter naps, or, more reliably, after my husband comes home in the evening. As to how I treat a manuscript: first comes the rough draft. Then, if I read through this initial draft and decide that, no matter how messy, the story has some potential, I meddle with the sentences and plot until I have draft number two (or three, or four, if draft one was particularly rough). At this stage I send the story out to my husband and to a small pool of incredibly helpful first readers. Once they’ve read and followed up with me, I pen another draft that takes into account their best criticism. Depending on what they have to say, this new draft may be nearly identical to the story read by my first readers or may appear almost completely different. I read this draft out loud in order to catch every typo or nonsensical bit that I can. Then I send the story out into the world and cross my fingers. After that, it’s time to move on to the next project. 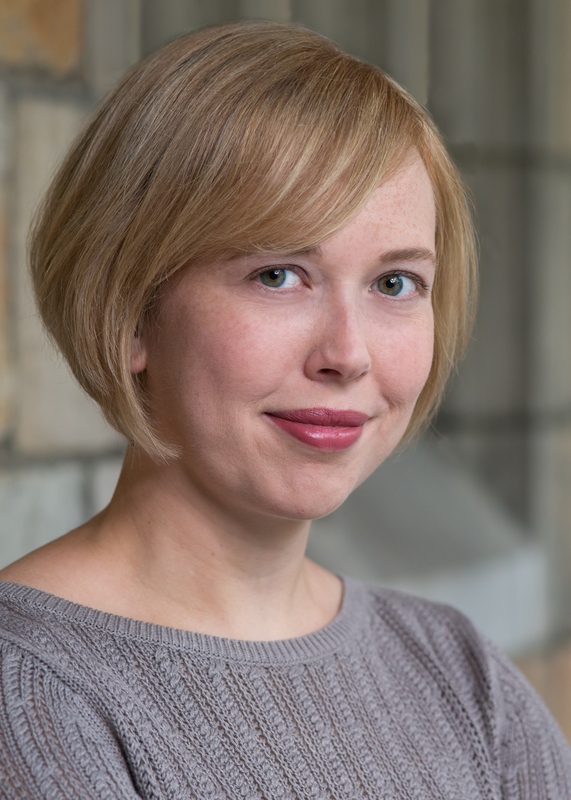 Stay tuned here for answers to these questions from Kodi Scheer, a talented friend who has been published in The Chicago Tribune and the Iowa Review and who recently released an amazing story collection, Incendiary Girls. Exciting news! My short story of Great Lakes eco-terrorism, “Straws,” will soon air as part of WBEZ public radio’s After Water series. Chicago fans, you can listen at 2pm your time on July 30th. Everyone else, you will find the audio at http://www.wbez.org/series/front-center/after-water-science-art-and-journalism-around-climate-change-110544. The full text of the story will be available post-broadcast at http://afterwater.tumblr.com/. Check it out! There are some other wonderful stories up there already.